It has been more than a year that Ranbir Kapoor and Mahira Khan were clicked smoking over a conversation outside a hotel in New York. Since then, the pictures of Mahira Khan and Ranbir Kapoor surfaced on the internet but till now, the Pakistani actor is getting trolled for it. 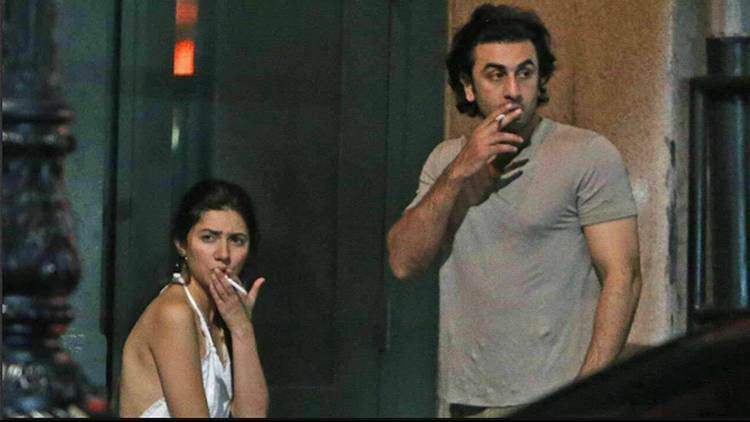 Mahira got brutally trolled for smoking and wearing a short dress by her fans, especially from Pakistan for disrespecting her 'nation & culture' and values by openly smoking in public. The internet exploded with hate comments for Mahira Khan and the two were even rumoured to be in a relationship. Many women activists and even celebs came out in support for Mahira Khan's. Just a few days later after the photo was leaked, Ranbir Kapoor supported her saying "I've gotten to know Mahira in a personal capacity over the last few months. She is somebody who I admire and respect, for her achievements and even more for the person she is. It is very unfair the way she is being judged and spoken about. What is also sad is the inequality in judgement just because she is a woman. I request you to stop the negativity and move on with your beautiful god gifted lives. Peace and love." The actor, in a final message to the trolls, told a leading media channel "PS: Both smoking and hate are injurious to health." After days of silence, recently, Mahira Khan also finally opened up about the controversy while promoting her upcoming film, Verna. In an interview with Something Haute magazine, she said "I'm a very strong woman but when all of this happened, I was completely shattered and broken. I would think about posting a statement every day. Then I would stop myself because I just wouldn't know what to say." "People ask me if I'm a good role model for my fans, and my response to that is that yes, I am a role model but I'm not the perfect role model. I am human, I make mistakes. And I was really happy to see that there were so many people who stood up for me. It goes to show that the narrative in Pakistan is changing, and if nothing else, I'm happy to have been part of that narrative." she added.